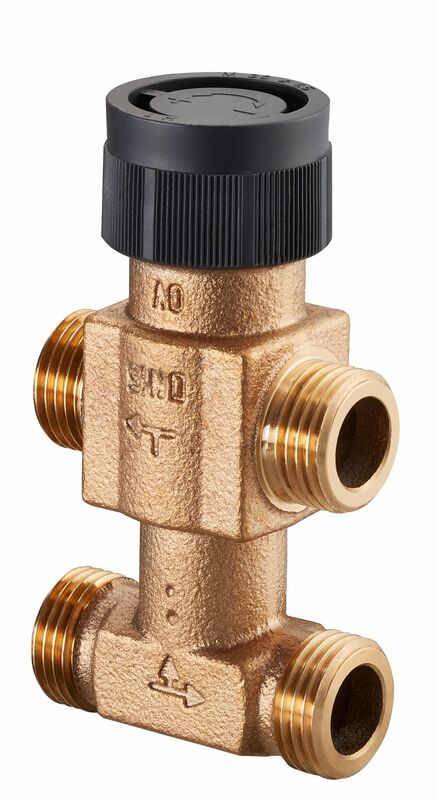 OVENTROP-Four-port mixing valve "Tri-M plus TR"
For use in central heating and cooling systems (like fan convectors (fan coil units), chilled ceiling modules, inducation air systems, cooling and heating zones) with closed circuit for operation with non-aggressive fluids (e.g. water or suitable water and glycol mixtures according to VDI 2035). The Oventrop four-port mixing valve "Tri-M plus TR" controls the room temperature by changing the flow rate to the terminal unit by use of actuators whilst maintaining an almost constant flow within the distribution circuit. 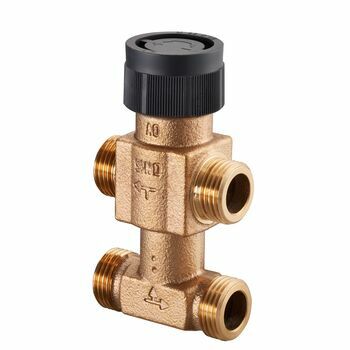 Body made of bronze, seals made of EPDM or PTFE, bonnet made of brass resistant to dezincification (DZR), valve stem made of stainless steel with double seal.